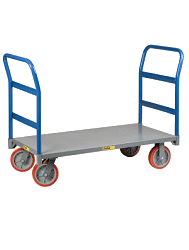 We provide you will a full selection of frames, handles, base plates, wheels and accessories. 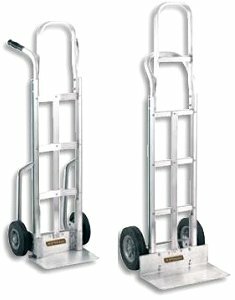 Build your Harper Hand Truck that is right for your needs. Harper uses exclusively higher quality extruded aluminum components that resist high impact resulting in longer life and prevents costly replacement of cast aluminum components. 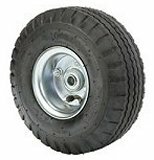 I - 14" x 10" J - 18" x 8" K - 18" x 10" M - 20" x 8"
N - 20" x 10" A - 14" x 8" B - 14" x 10" E - 18" x 8"
Please note your hand truck will be partially assembled and shipped boxed to protect it during shipping.